Does North Kohala Community Resource Center provide funding? No, NKCRC works with individuals and organizations to consolidate their ideas and to move forward with plans that will lead to successful business and funding. See What Do We Do, Anyway? What kinds of projects does NKCRC assist? 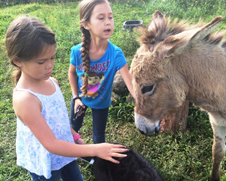 We assist projects that will add value to the North Kohala community. Please see our list of current projects and types of projects we support. You can contact us for more details. I have a project in mind. How do I apply for support? A first step for every project is to contact the Center to talk about what you want to do. Keep in mind, we only support and sponsor projects beneficial to our North Kohala community and highly value projects that will bring the community more closely together. Within that framework there are literally an untold number of opportunities to make great contributions to the community, and weâ€™ll work with you to focus your planning, make sure there is a real need for the project you want to do, and explain how to complete a one page application which our Board will review. If approved, weâ€™ll sign a brief contract for fiscal sponsorship that allows you as project organizer to receive grants or donations that require a 501(c) 3 nonprofit status. If not approved, weâ€™ll say clearly why, and you can reapply at any time. Our application guidelines can be downloaded here, and are available at our office. We find talking with our staff before you apply saves a lot of time and helps get the project clearly defined early on. Does NKCRC charge fees and how are you funded? Yes, NKCRC funds itself through fees and donations. Each project is different and we cap the rate at certain percentages depending on the size of the grant or contribution. See our fee schedule. If I would like to donate funds to the North Kohala Community Resource Center will I receive a tax receipt? Yes, NKCRC is a 501(c3) nonprofit organization and we welcome donations. To learn more about 501(c3) donations see this site and contact us for more details on how you can help. I’ve read through the web page. How can I find out more about what NKCRC has to offer? By contacting us and participating in a workshop. We welcome volunteers with open arms. There is a wide variety of activities at the Center that volunteers can do, and many of our projects need help too. Come in and talk with Christine about what you like to do, or what your interests in the community are, and we will suggest opportunities and help get you involved in whatever sounds good to you. 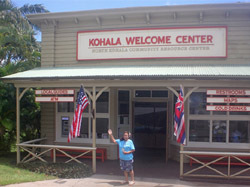 Currently we are actively looking for volunteers to serve as Kohala Guides for the Welcome Center. This means you will become very knowledgeable about the community and will talk with visitors to help guide their visits here. You can work daytime hours that fit your schedule, and enjoy feeling connected to the people, history and culture of Kohala while meeting new people. To start, just drop by and talk with us!